I know this is premature, considering as we’re only halfway through the year. But May marks the 30th month of this blog, and even though I don’t have statistics, I suspect that there were an unusually high number of tip-top terminal titles in that short span. So as a final nod to truly great software, I’m going back through anything from the first half of this year, and maybe even creeping a little into the last days of December. Let’s look one more time at the stuff that really shines. Which disk has Jumpman on it? Finally, an editor that doesn’t treat me like an idiot. 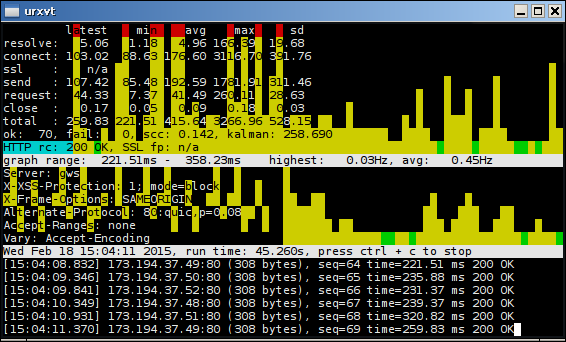 Best do-it-yourself office suite: mined, ol, alot, scim and tapecalc. I’m lumping titles here, which probably isn’t fair, but if you wanted to set up an entire suite of software to manage your home office on a leftover K6-III, you got five grand programs just in the first half of this year. tapecalc is a majestic redesign of the office adding machine archetype, suitable for tabulation, accounting and even just simple math, and won’t run up your budget by burning through that awful thermal printer paper. mined is another prime example of why both vim and emacs should be completely discarded and all their prophets exiled to a very cold place, and a magnificent example of how easy text-based editing should be. Best sights and sounds: shpaint and mpfc. It was probably easy to see coming, but shpaint was a winner in the visual arts department for making terminal emulator art as easy as point-and-click. I don’t know what sorcery makes it possible to do that from bash, of all places, but shpaint made me all misty-eyed, remembering the good old days of Paint Now! (Massive bonus points if you know that one.) Granted, it didn’t really stand up to some of the higher features of other graphics programs, but all told, it was the best artistic invention for the year. Save this for Sept. 19. Where shall we go this time, my little robot buddy? Best game: scrap. I pulled out a lot of hair before I made this decision. For as brief a time as we had together in 2015, a lot — and I mean a lot — of that time was spent on games. 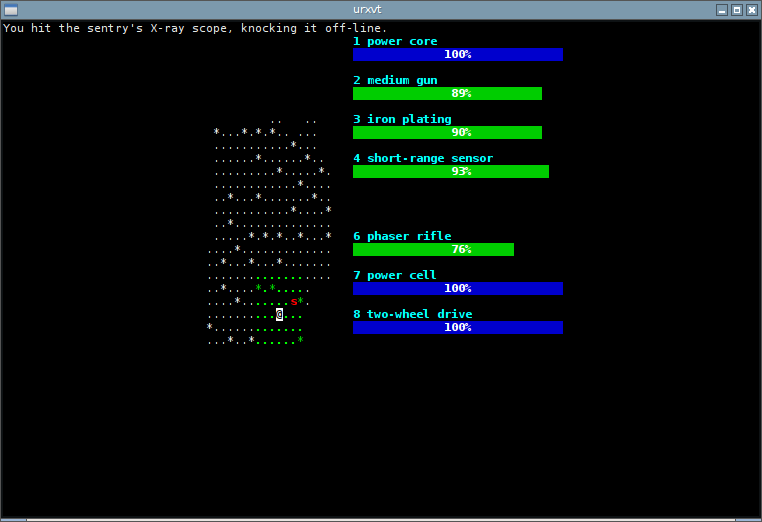 Some of them were magnificent too: Frozen Depths aligned itself with the topmost rung of roguelikes, making it a peer of things like Cataclysm DDA and Dungeon Crawl. nsuds was so well made that it could have been a tutorial on how to design a text-based console game. And if you didn’t know better, net-o-grama could trick you into thinking it was a graphical game. Even hack-of-life managed to astound me, and that game was built on the ancient carcass of a decades-old theoretical population simulation. It was a good six months for games, no matter how you looked at it. In the end though, it was the simple novelty of scrap that won me over. I was still puttering around with scrap for days after I had written about it, in between the other games that I was skimming through. It’s not a perfect game (what is?) and it is at risk of disappearing into the technological ether of history, if archive.org ever jettisons it. But for sheer fun, a simple but challenging premise and a colorful interface, scrap won the crown. Please accept my heartiest endorsement. Now I’m afraid our time together must come to a close. I don’t have any words of wisdom beyond what I left at the top of the old blog. We had a good decade, and I hope the past 30 months of silly little text-only adventures were as interesting — and maybe educational — for you as they were for me. Keep trying new things, keep looking for simpler solutions, and keep using the programs you like best. And remember: Be kind to one another. We’re all we’ve got! This entry was posted in Linux on 2015/04/30 by K.Mandla. Today and only today, a special sale on leftover software titles. 😀 Some of what you find here today might not work, and in some cases it didn’t work for me either. On the other hand, some just required too much time to set up, and so might be perfectly functional — in fact, it might be just what you always wanted. birdsay: A nifty little gimmick, this displays a tweet as an ASCII bird, which only makes sense. I expect this will require a Twitter account though, and I don’t have one, so I leave it to you to explore. btail: A Bayesian log filter, which proved a little more homework than I could appreciate. Functional, just a little more complex than I had time for. 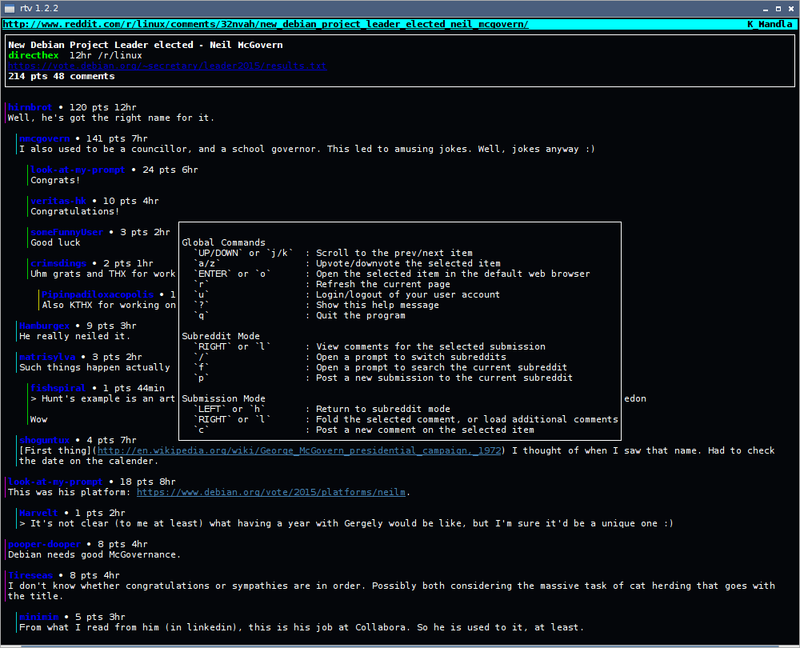 clerk: An mpd client, which I believe behaves a lot like dmenu. I hold no grudge against mpd, except that it usually takes a long time for me to set up, and so I tend to procrastinate with mpd-based software. If you use mpd, it might be worth trying. clif: clif intends to make gifs from other sources, all at the CLI. My initial efforts to get it running were unsuccessful; see if you have better luck. 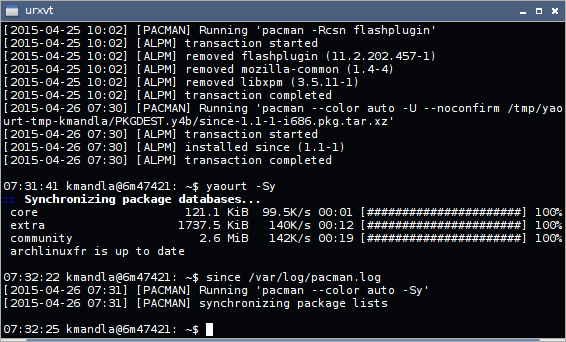 content-screenshot: I believe this relies on Chromium, so I’ve omitted it as a graphical program. 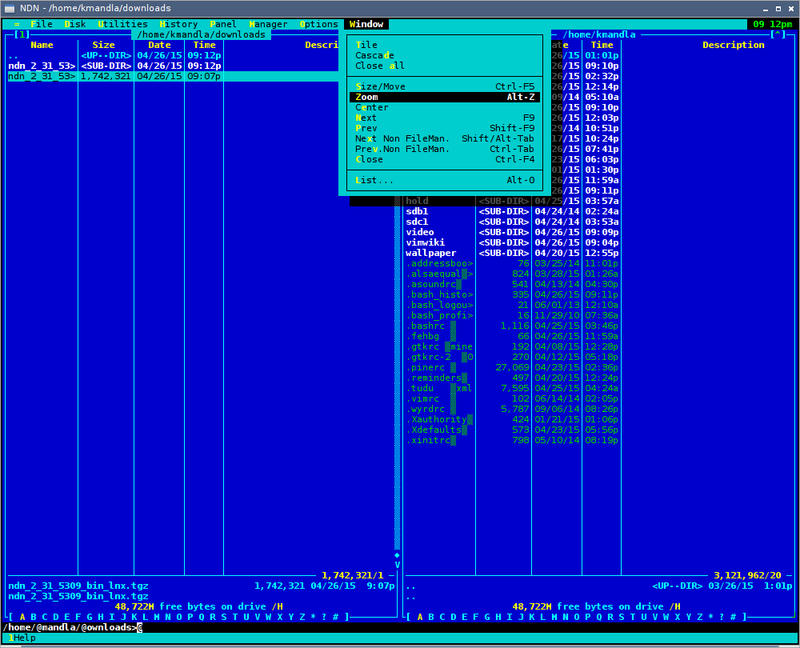 deco: A text-based two-pane file manager patterned after Norton Commander. This wouldn’t build for me, and I see on the home page that it has been deprecated in favor of another file manager. I’m afraid the code is just too old. 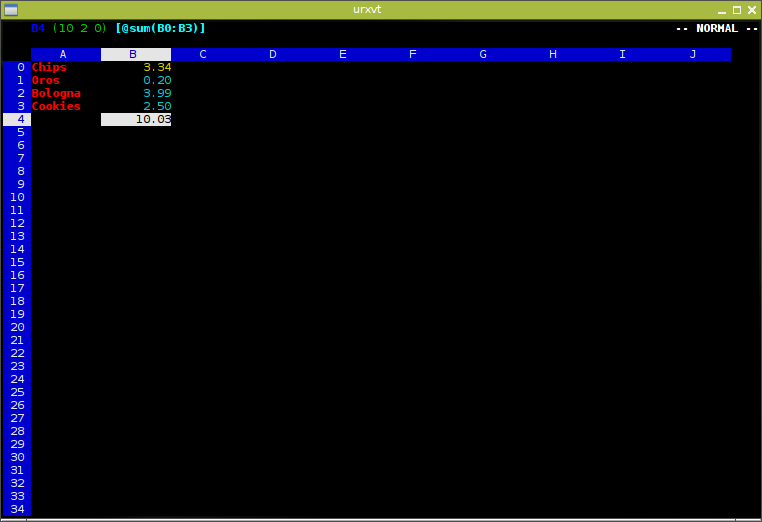 dired: I suspect there are two dired’s: an old one that runs within emacs, and a newer one that works independently. My confusion over the name and my difficulties getting the old one to work kept knocking this file manager down my priority list, and now I hand it off to you. gsync: A tool to synchronize folders against Google Drive. I could build and run this, but it never synced against my account. I suspect Google has updated its protocol to the point where gsync can no longer communicate with the cloud, as sometimes happens. ImageScraper: An image downloader. A submission via e-mail, this never worked for me as promised, even when I buckled and tried to install it with pip. img: An image uploader specific to imgur.com. To be honest, imgur’s pages are always terribly heavy and laden with gimmicks that make it slow to navigate on a 12-year-old computer, so I never bothered trying it. Plus, I’ve outlived three or four third-party image hosts over the past decade, so I don’t have much need for imgur. imgbash.sh: I believe this is imgur.com’s in-house upload script, which may or may not be better than the previous title. Again, I leave that to you to discover. mu4e: Another mail agent for emacs. The next blog will be “How to take care of all your computing needs from within emacs.” Just kidding. 🙄 If I remember right, there’s a standalone version (in other words, without the need for emacs) just called “mu.” And now, little man, I give the watch to you. rhype: A music player specific to Hype Machine. I did due diligence with this, but it came up lacking. Lazy responses from the daemon, almost no control over the actual player doing the work, and very sluggish behavior when trying to access the playlist. See if you have better luck though. Tomorrow, one last look at the first half of 2015. This entry was posted in Linux on 2015/04/29 by K.Mandla. About a month ago, StreaK left a note about ndn, a/k/a Necromancer’s DOS Navigator. I might catch some flak for this, but I saved it for last, before the shop closes down. Introductions first. ndn has a precompiled Linux version that you see there, and as you might expect from the screenshots, I find it quite enjoyable. You can see the two-panel menu-based approach that hearkens back to Midnight Commander and its predecessor, Norton Commander. 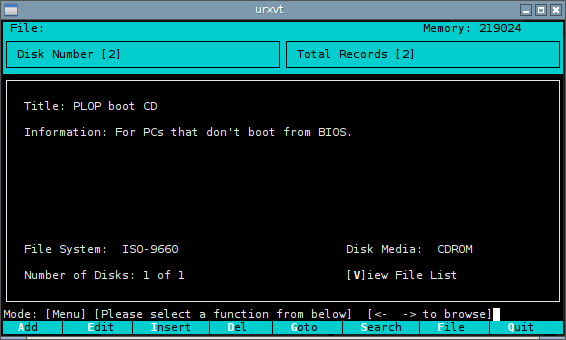 ndn takes that style and adds multiple window support, a healthy smattering of disk functions (like renaming a volume, like you see above), separate histories for command line and panel activity, and a lot of other tricks. Most everything is driven by a popup dialogue, which I always appreciate. Even more amazing, ndn adds in a calculator, a calendar, a phone book (remember, this has history back to the modem era), and a lot more. If you try ndn, take your time with the “Utilities” menu, but don’t be shy about the others either. Much of what ndn can do is arranged by submenu, and that makes it mostly easy to follow. There are also provisions for user-defined menus, and a special function menu just for Linux tasks. With all that going for it, I still have a few small problems to report. First, as you can probably see if you look close at the screenshots, I’m getting some screen artifacts when I run the precompiled version in Arch. I don’t blame anyone for that; it’s a distraction, but it’s just the nature of the beast. Second, there are some obvious leftover “tools” and “menus” from the DOS era. The letter strip you see along the bottom of each panel clearly corresponds to drive labels under Windows, and double-clicking on one in Linux just drops you into /dev/, which doesn’t really help. 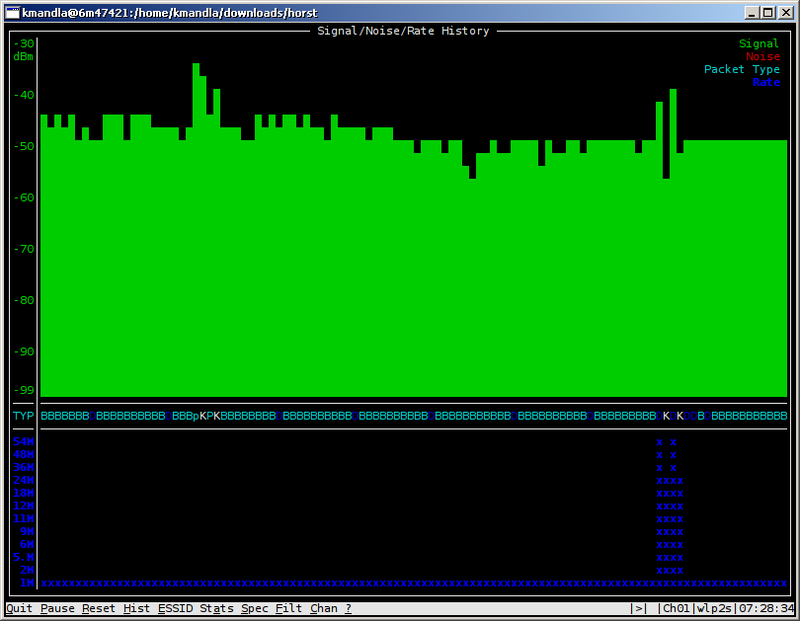 It would be nice if that area instead showed mountpoints or even polled devices like sda1, sdb1, sr0 and so forth. As it is, that strip is wasted space. Add to wasted space: Displaying file names in the same color as the background for certain file types. That’s an unfortunate oversight. ndn is also a very powerful suite of tools, and will take a lot of time to learn all the commands. But to complicate things, it appears there are different controls when running under X and when in a virtual console. Keyboard navigation seems disabled under X, meaning you have to do all your selections and menu action with the mouse. On the other hand, gpm was no help in a console. Those are the main reasons I was hesitant to include ndn in this list: It seems a lot of its functions will hinge on graphical support. Which makes it not much better than undistract-me, which we talked about a few days ago. And why save it for last, you ask? Nostalgia, mostly. 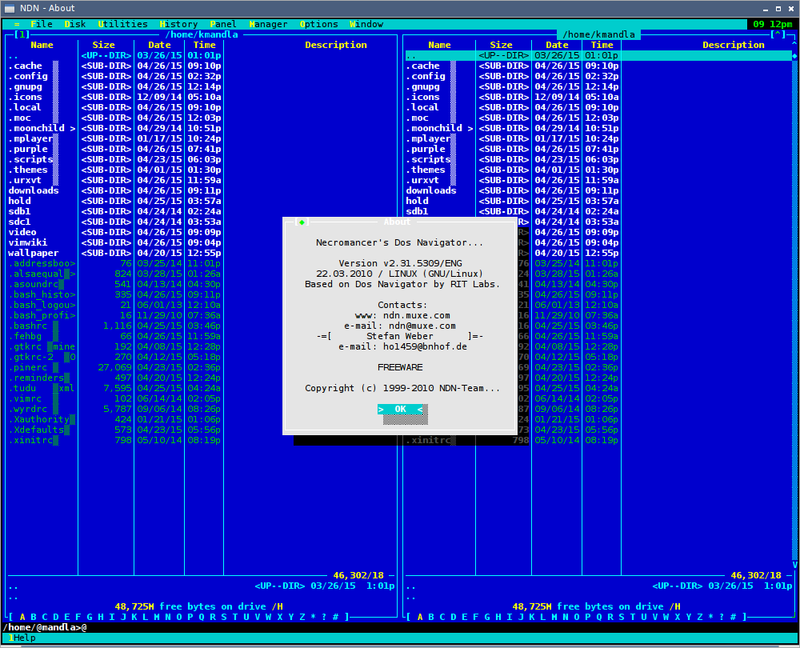 If you remember the text-only era and the parade of file managers and disk checkers that all ran within consoles and had no graphical support, ndn is like a trip down memory lane. Popup menus drawn and shaded in hashed boxes, menu bars triggered with ALT+letters, and F-row hotkeys will take you back to the software of 30 years ago … all the way down to the color scheme. It’s a good feeling. This entry was posted in Linux and tagged file, manager on 2015/04/28 by K.Mandla. I fear this little utility might be usable only for a discrete set of fans. Technically speaking it’s a text-based application, but … well, I’ll let you take a look and see what you think. 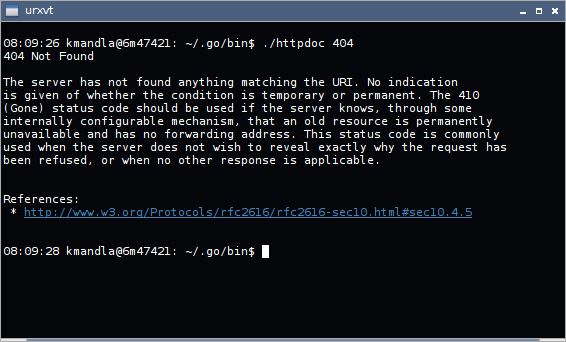 In principle, it’s rather simple: undistract-me simply takes note if a shell command takes longer than 10 seconds to execute. 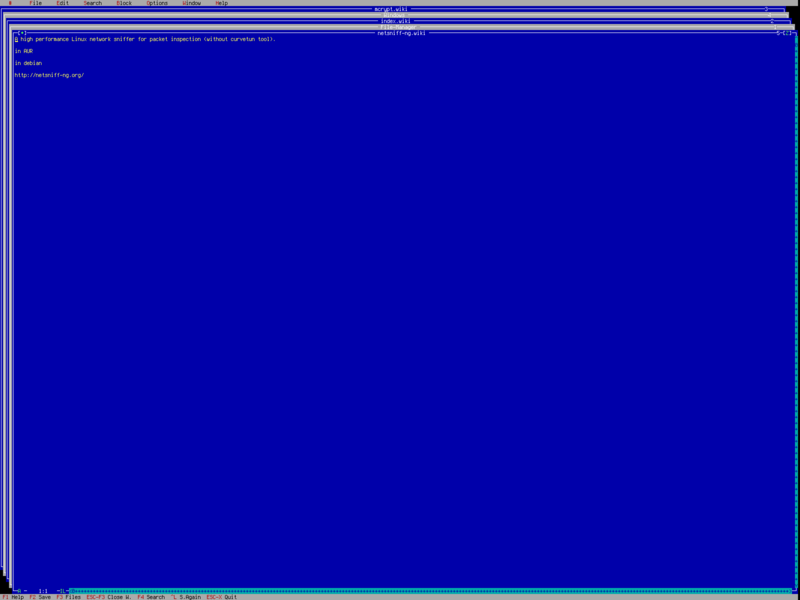 If it does, it waits until the program finishes, then throws up the alert message you see in the screenshot above. Kind of cool, in an odd way. Strictly speaking though, you’ll need all the underpinnings of a graphical desktop, plus whatever alert system is in use there, before you’ll get close to that kind of behavior. On my semi-graphical Arch system with just Openbox, I ended up adding gtk3, polkit, dconf, json-glib and a mess of themes and libraries before the git version was close to running. So I don’t know if I’m being fair by including it. Don’t expect to suddenly plop this into place on your 400Mhz Celeron running screen, because you’re going to need a lot more to get close. I won’t deny that I like the idea though, and if something comparable could be implemented in a text only environment, it might be worth trying. For my own part, I used to append long-running commands with aplay yoo-hoo.ogg so I would get an audible when something finished. So in that way, I can sympathize. But unless you use a lot of terminal commands on a Linux Mint desktop and need some sort of blinky reminder when one finishes … well, like I said, it will probably only appeal to a slim range of fans. This entry was posted in Linux and tagged command, desktop, finish, notify on 2015/04/24 by K.Mandla.